If you're tired of feeling tired, stressed, and in pain, come to our massage clinic happening every Tuesday during lunchtime! Costa Mesa Sanitary District is hosting a free compost giveaway and clothing donation drive at the OCC Recycling Center on April 27, 2019 from 9am-12pm. FUNraising season is here! Join us for our exclusive event: Haus of Hair Presents Metallic Fusion! Come celebrate our mission and hear from our SOY students and SOY Alumni on how SOY has changed their lives. 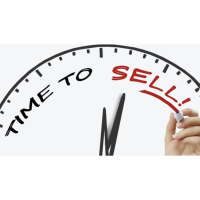 Research shows that businesses that are part of Chambers of Commerce have increased credibility, visibility, favorability, and positive reputation. 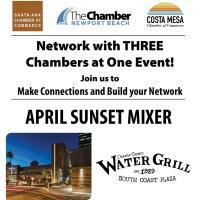 Come learn how to optimize your membership and use the chamber's many resources such as: Chamber website What's Up Costa Mesa App Networking Events and so much more!! 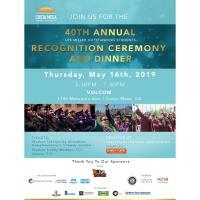 We invite you to join us in recognizing overall community and scholastic achievement of Costa Mesa's top performing high school and college students. 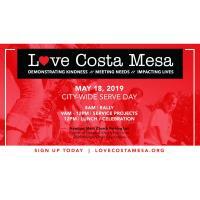 Love Costa Mesa” is an annual city-wide community volunteer service day on May 18th.